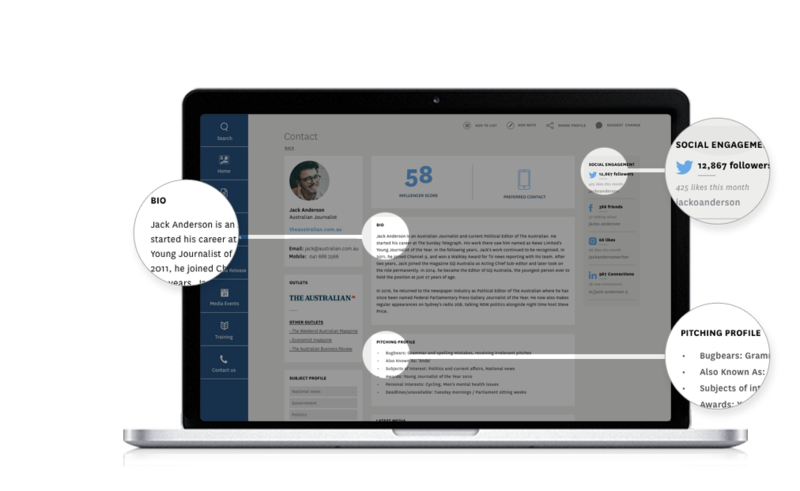 The Media Contacts Database is the ultimate insight tool connecting you with over 59,000 media contacts and outlets. Get relevant media contacts and target by industry, profession, outlet type, location and position level. Pitch your story today to the who’s who of Australian media. Truly understand the background and status of a media contact. Complete with achievements, career history, awards and personal endeavours; bios to help you quickly understand who someone is and how you could tailor your pitch to suit them. Go beyond names and titles with our pitching profiles feature for precision targeting. Achieve higher penetration with detailed insights into a journalist’s pitching preferences, their preferred contact method, deadlines, bugbears, likes and dislikes, personal hobbies and more. Know where you’ll get the most impact for your investment with AAP’s proprietary influencer score. By measuring media influence alongside social reach, the score will allow you to quickly understand who has the most clout and social reach. 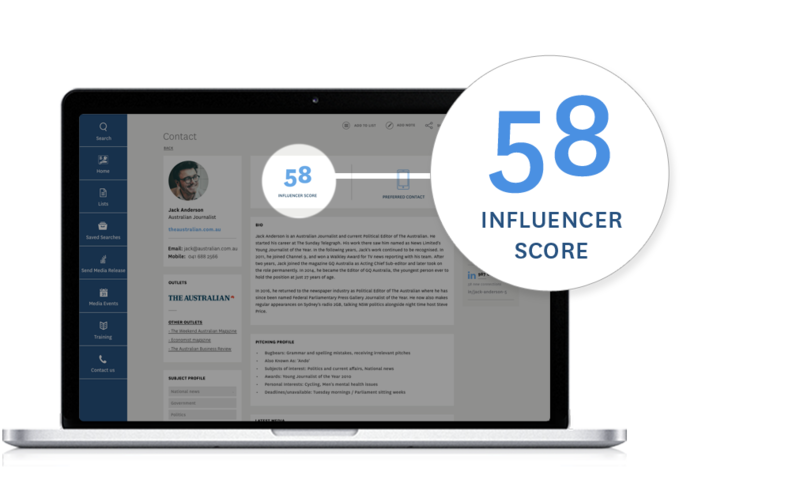 Ranging from nano-influencers to mega-influencers, Medianet’s qualitative influencer score will guide you on who to target for your campaign. Social media has given rise to a new breed of influencers and provides traditional media players with multiple platforms to grow their reach. Medianet’s database provides a view into someone’s participation on social media, their social influence and the ability to connect with them via Twitter, Instagram, Facebook, LinkedIn, Snapchat, YouTube and Skype. Expand your team’s power with our dedicated team of Australian researchers who monitor, investigate, survey and verify every piece of information. From how to pronounce a name, charities and causes an individual may support, to when they’re on deadline – if there’s something that will help you with your pitch, we’re recording it. As a division of Australian Associated Press, we’re trusted and recognised as the authoritative resource for editorial data and insights.